Mark McCafferty will step down as Premiership Rugby chief executive at the end of the current season, to be replaced by Darren Childs. McCafferty has spent 14 years in the post, delivering numerous rights deals as well as helping negotiate the recent sale of a Premiership stake to CVC. 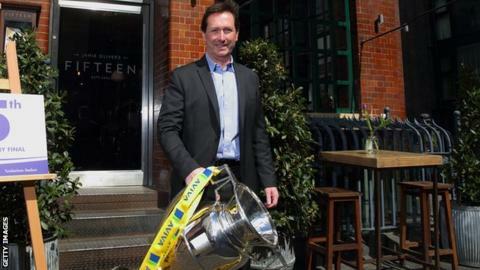 Childs will leave his present role at digital broadcaster UKTV to take up the Premiership Rugby role. "Mark has played a pivotal leadership role," chairman Ian Ritchie said. "The growth of the club game in England and Europe during that time has been tremendous."